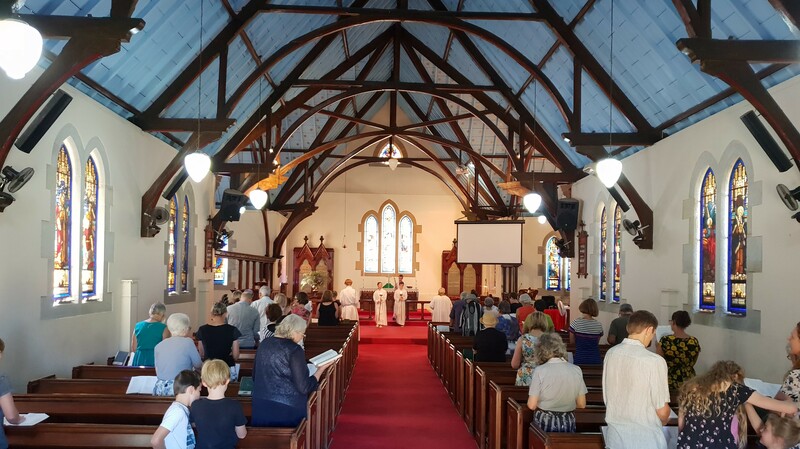 St John’s Anglican Church Newcastle - welcome! Welcome to St John’s Anglican Church in Newcastle’s leafy suburb of Cooks Hill. We are situated right next door to the famous Darby Street restaurants and cafés and – despite being the oldest church in Newcastle – we are still very much alive and thriving! What is St John’s all about? St John’s, Cooks Hill is the spiritual home for a growing community of people drawn from all across Newcastle NSW. We are from all ages and walks of life. We have in common a desire to be disciples of Jesus Christ. We want to learn more about him, we want to trust his way of living more and more. Because of this, we seek to be a church Newcastle finds open and welcoming. What happens at St John’s? Our three Sunday services offer traditional, informal and modern worship. Church isn’t just on a Sunday… throughout the week we meet for playgroup, youth groups, Bible studies, surfing, football and social catch-ups. Through these things we want to build a passionate community that lives the way that Jesus Christ wants us to. St John’s is a very popular church for weddings, with its gorgeous sandstone look, beautiful red carpet, and impressive timber beams. But it’s not just a beautiful Newcastle church to worship in – it’s also a great place to belong and be part of a community. Whoever you are, you have a place at St John’s. Find out more about joining our community today. A great way to do this is to join us for worship. Find out more about details of our regular worship. Alternatively, get in contact with one of our church ministers.